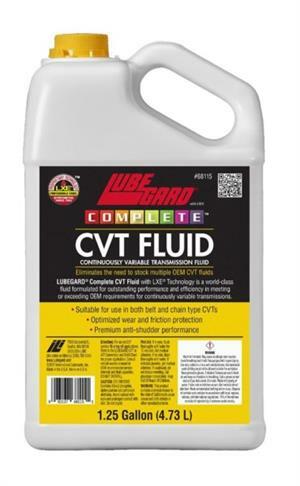 Service Over 90% Of ALL CVT’s Confidently With LUBEGARD COMPLETE CVT Fluid ! Suitable for use in ANY belt type CVT (Continuously Variable Transmission) Application ! LUBEGARD’s COMPLETE CVT Fluid meets the performance requirements and specifications of ANY Belt Type CVT.